Do you want to know how to protect your images from theft? Photographers and designers often upload their latest works in blogs to showcase their talents and establish own identity. Such works are really precious. Others may steal your hard work and use those images in their websites, portfolio, and others even without letting you know. It’s better to watermark images before they appear online. A watermark tells the world that it belongs to you. So no one can use it as their own. 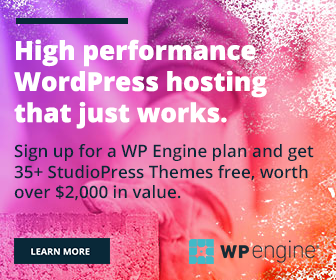 In this post, we’ll show how to watermark your images in WordPress. Easy Watermark is a simple plugin to watermark images in WordPress. It allows you to assign a text or image watermark to your media library images. After activation, go to Settings > Easy Watermark to configure the plugin. You will find three tabs in the page- General, Image, and Text. 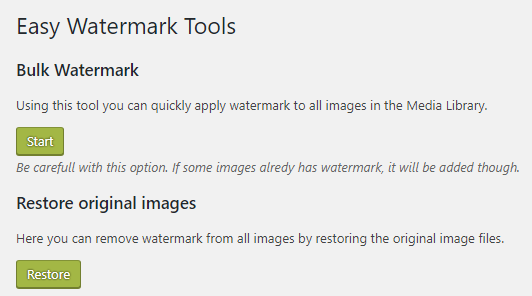 Check the first option to automatically watermark your images on upload. Choose image types, sizes and watermark type next. Backup is another option to save your original images to allow you to restore them at a later time. But remember that, it will take more space on the server. So it’s better to keep a backup of your original images on the local computer. Scroll down to manage user capabilities for using the plugin. It requires minimum Author privileges to apply the watermark. Check Allow to Auto Watermark box to automatically apply watermark on upload to every user. Otherwise, the feature will work according to the above role-based settings. Select your Post Types and Save Changes. Enter watermark text and set other parts including its position, color, text size, font, offset and opacity. Save. All your new images will appear with the chosen watermark. What about existing images in your media library? How to apply watermark on them? Tap Start to quickly apply a bulk watermark to old images. Wait for a few moments to finish the process. Tap Restore to remove watermark and restore your original images.